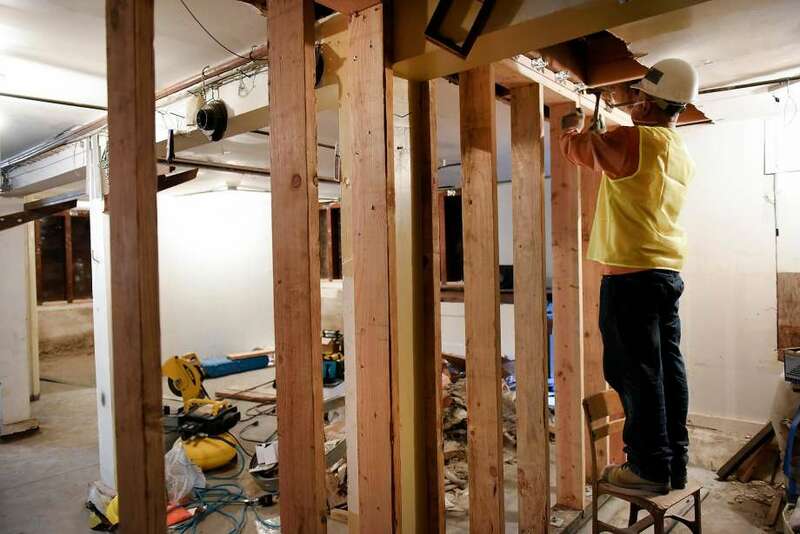 SF Chronicle: How Ready will Bay Area be for Next Big Quake? The tough seismic safety regulations imposed by San Francisco and other cities across the state are designed to shield those communities from the type of devastating damage seen in many parts of Mexico City. But knowing what to do and actually getting it done are different things. That’s not a surprise. Many of the Marina district apartment buildings that collapsed in the 1989 Loma Prieta earthquake and the buildings that went down in the 1994 Northridge quake in Southern California were that type of multilevel, soft-story building, with residential units above a large, open garage or commercial space. San Francisco in 2013 passed a law requiring wooden buildings three stories or higher with five to 15 units to be retrofitted to make them earthquake safe. A graphic tweeted out Tuesday by the Association of Bay Area Governments showed that only Berkeley, Alameda and Fremont had joined San Francisco in adopting soft-story retrofit ordinances, while Oakland, San Jose, Hayward, Palo Alto, Mountain View and Albany are taking steps in that direction. No other city in the nine-county Bay Area is even looking into the problem. But even in San Francisco, where memories of Loma Prieta remain strong, owners of nearly 500 of the more than 3,400 buildings that required retrofits didn’t take out permits for the work by the Sept. 15 deadline. Mexico City is also vulnerable because it’s a city-state of some 21 million people built in a basin on the silted-in remains of an ancient lakebed. With that soft soil, a strong quake like the 8.0 magnitude event in 1985 that killed more than 9,000 people can amplify the power of the quake, liquify the soil and even extend the shaking, Hudnut said. In 1989, liquefaction was a major factor in the damage in the Marina district, which was built on the bay shore filled with debris from the 1906 earthquake. Structures built on bay fill — from the Marina to Alameda to West Berkeley or Richmond — will suffer the same sort of amplification seen in Mexico City, said Lucy Jones, a seismologist with the Seismological Lab at the California Institute of Technology in Pasadena. But a 7.1 earthquake in the Bay Area could even be more deadly than the Mexico City temblor. Older concrete buildings — which in San Francisco tend to be commercial buildings — are particularly vulnerable. “At this moment, a 7.1 on Hayward (Fault) is going to easily be as devastating as what we are seeing in Mexico City,” Jones said. Cathi House of the San Francisco architecture firm House and House Architects has been working regularly in Mexico since the late 1980s and has been involved in 30 projects there. She said the buildings in Mexico City that fared the worst in Tuesday’s earthquake were masonry structures that were neither older historic stone buildings nor the most recent structures, which she said are built to a high standard. “The 500- and 600-year-old buildings, are fine and the new buildings are being carefully built to newer codes,” she said. Instead, the damage seems to have hit apartment structures put up quickly and cheaply between the 1950s and the 2000, she said. “A lot of quick-and-dirty building got done,” she said. In a paper presented at a 2004 Vancouver, B.C., conference on earthquake engineering, two engineering professors at UNAM, Mexico’s premier university, described the problems of meeting earthquake standards in Mexico. House, who takes groups of architecture students to Mexico every year through a program called Center for Architecture, Sustainability and Art, said that it’s usually obvious which buildings will survive a quake and which won’t. “One of the sad things about quick growth is that there are a lot of developers who are not out to build a beautiful community and don’t hire good architects and engineers,” she said. Kit Miyamoto, CEO of Sacramento’s Miyamoto International, an earthquake safety and structural engineering firm, will be in Mexico City early next week to review the damage and observe the cleanup work. He’ll be working as a consultant to the U.S. State Department and also as a member of the California Seismic Safety Commission, looking to see what the state can learn from the disaster. Since the 1985 earthquake, Mexico City has put in place many of the same seismic safety regulations as California. 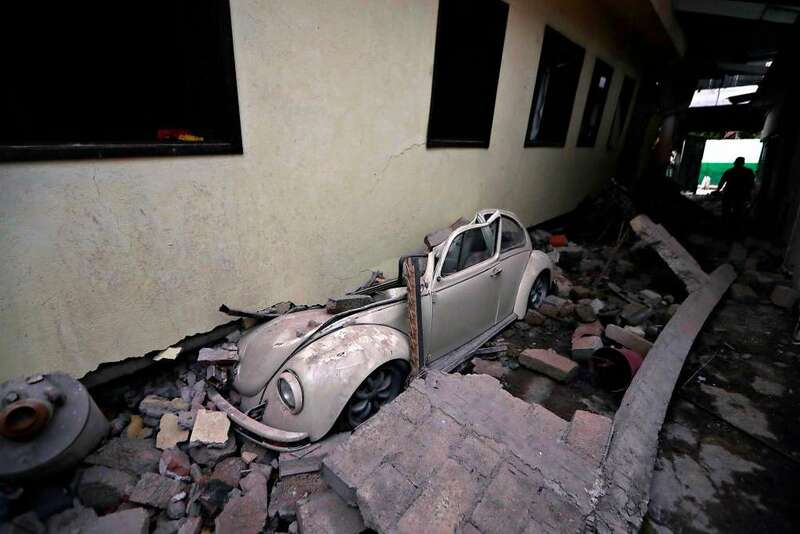 Mexico City also has many of the same-style buildings as California does, Miyamoto said, which makes it important to see just what happened Tuesday. Photo: Michael Short | Construction worker Yuen Liang attaches angle straps to the top plate of a floor joist. The quake’s devastation “involved a lot of smaller buildings, not the taller ones that collapsed in 1985,” he added, which suggested a different, sharper type of temblor. One other problem seen in both Mexico and California is that it too often takes a disaster to provide the push for new and more expansive earthquake safety rules. Just as Mexico City’s 1985 quake brought new regulations on what could be built where, California’s rules have followed deadly quakes. After the 1933 Long Beach earthquake destroyed or seriously damaged 230 Southern California school buildings, the state passed the Field Act, which required earthquake-resistant construction for school buildings. When 44 people were killed in the collapse of a hospital during the 1971 San Fernando Valley earthquake, new seismic safety rules for hospitals were passed. In 1989 and 1990, after the Loma Prieta quake, Gov. George Deukmejian signed 137 seismic safety regulations. By contrast, 112 quake bills were signed into law between the 1906 and 1989. Those rules save lives, Behzad Fatahi, an associate professor of geo-technical and earthquake engineering at the University of Technology Sydney, said in a CNN interview.